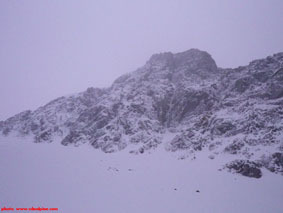 The Maul on Wedge Peak as seen from the drainage below, the route climbs directly up the gash in the middle of the face. Approach: Various approaches have been used, including up the drainage and up the ridge on the left. Both take a couple hours or more. 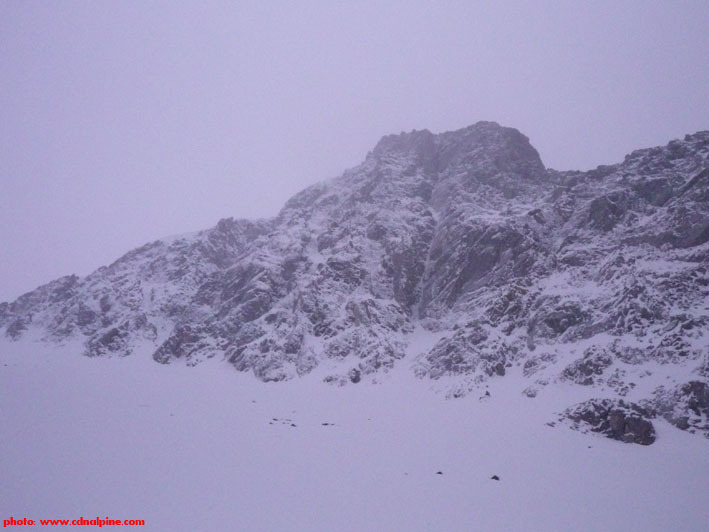 Route Description: A mini alpine route on Wedge Peak with lots of challenging drytooling. 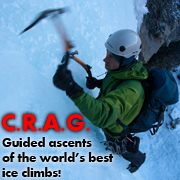 First done by Rapheal Slawinski & Will Gadd, it has had very few ascents. Route finding is easy, just follow the gash to the top. 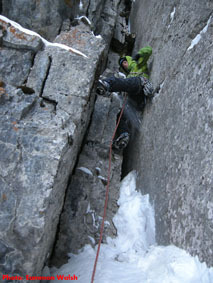 Every pitch provides difficult drytooling. 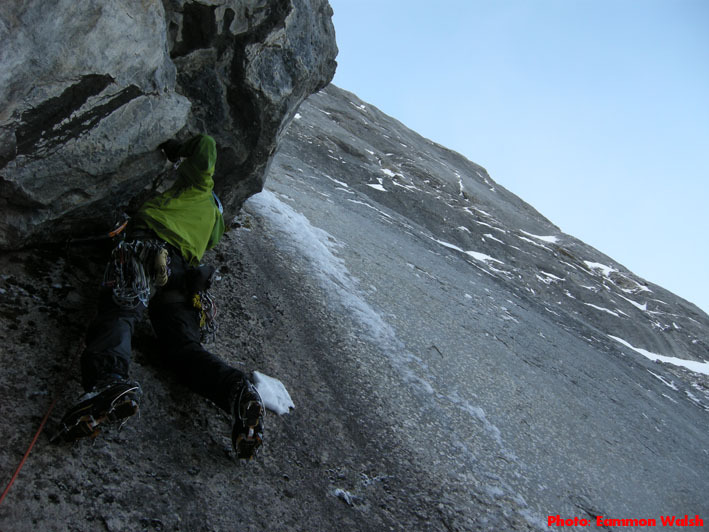 Some of the lower pitches are a bit loose and hard to protect. Exciting chimneys on the last pitch. Descent: Descend off the left side via the scramblers route. Gear: A good sized rock rock including pitons & a spectre. 1 ice screw may be useful near the bottom. 2 ropes would be wise if you think you might not make the top. Objective Hazards: The Maul is in alpine terrain complete with avalache hazard, rockfall, etc. Links: Blog posting from second ascent.